It turned out beautifully! 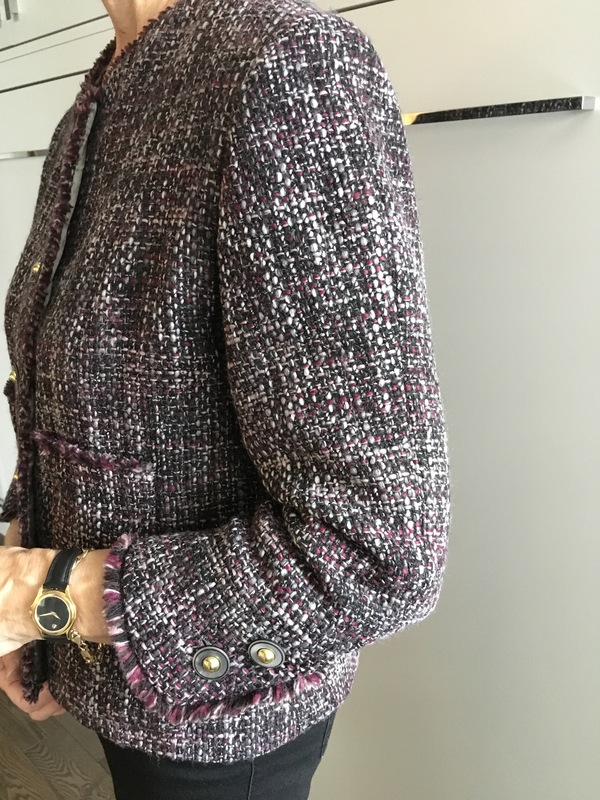 The buttons are really the perfect complement to the boucle. Well done!